Exploring work in: advocacy, cultural arts, mental health, immigrant rights, gender equity, and youth development? 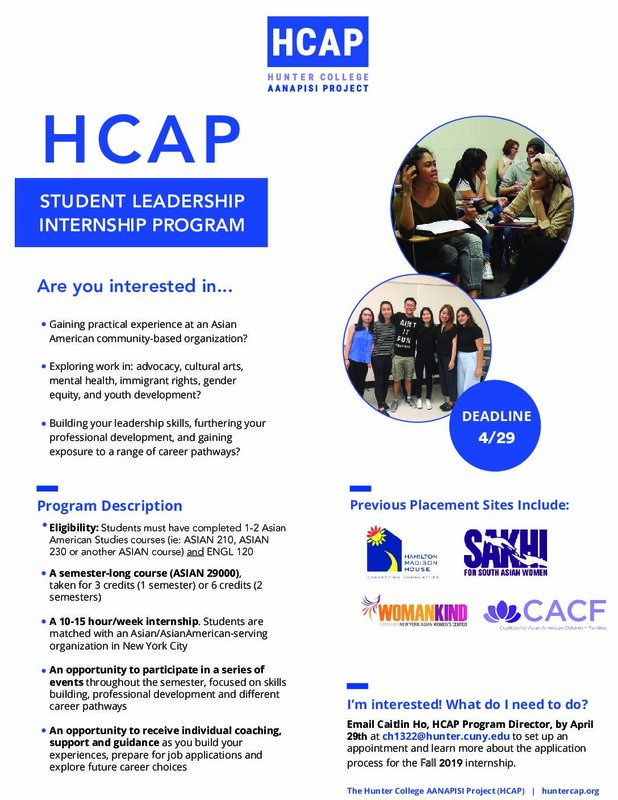 Email Caitlin Ho, HCAP Program Director, by April 29th at ch1322@hunter.cuny.edu. All students must first schedule an in-person meeting to learn more about the application process for the Fall 2019 internship.